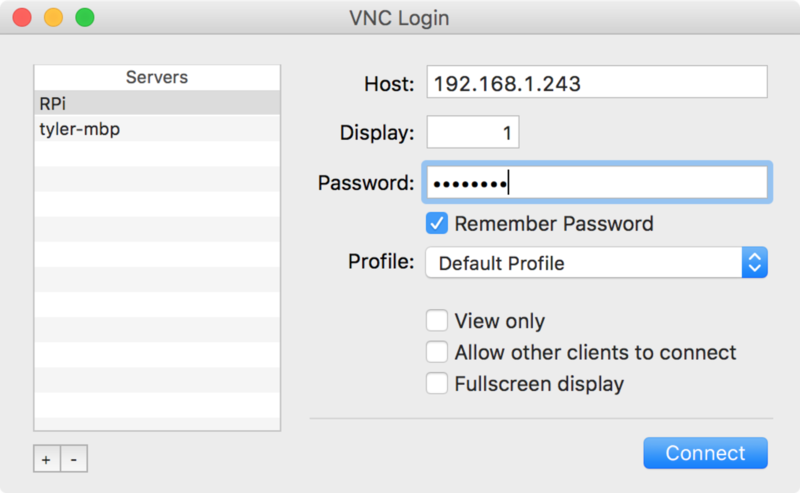 Virtual Network Computing (VNC) allows you to control the desktop of another computer remotely. This is especially useful for working with a Raspberry Pi if you don't want to have a monitor, keyboard, and mouse for each Raspberry Pi you run. 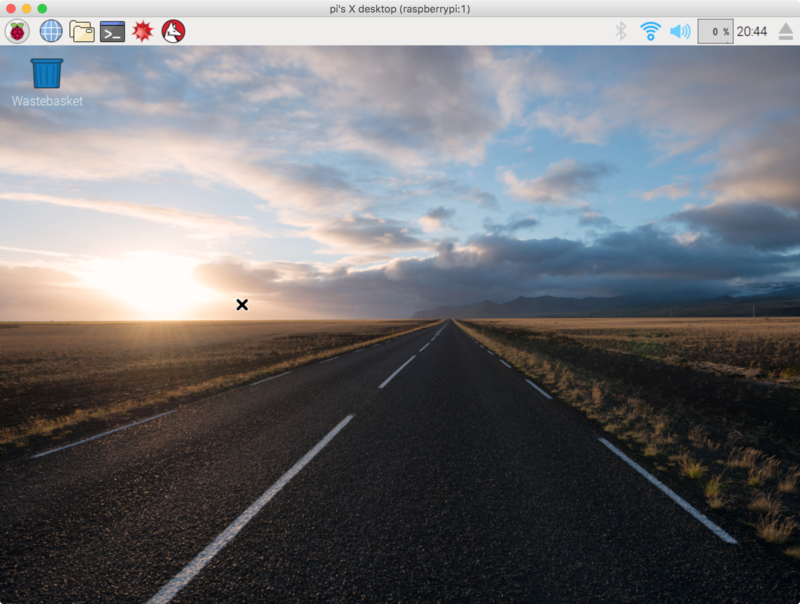 This guide will show you how to install and setup a VNC server on Raspbian and configure a VNC client on your computer. After this completes, go ahead and start the server. This will prompt you for a password, so enter one you'll remember. Since I'm using a USB WiFi adapter, I'm looking at the inet addr on the wlan0 interface (192.168.1.243 for me). You can install the VNC client of your choice. I'm going to use Chicken for Mac (formerly Chicken of the VNC) since that is what I'm familiar with and because it works well. If you're using Windows, a quick Google search can find you another good VNC client. Once this is installed, open a new connection using using the IP Address of your Pi as the Host address, enter your password, and use 1 for the display. Then connect.